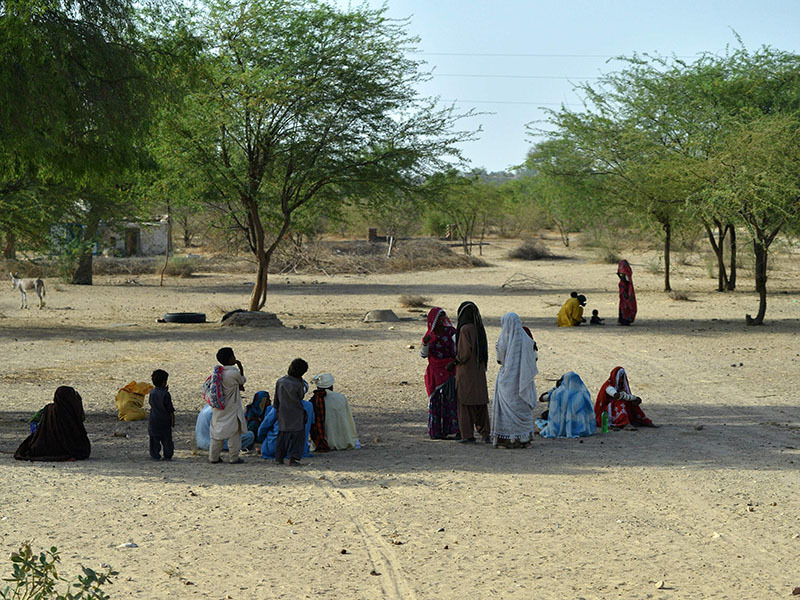 The people of Thar are no strangers to the scarcity of food and water. For them and their cattle, the dearth of sustenance has been a long-running problem. But now, the troubled lives of these residents of the desert have become much worse. They struggle to provide their families with one meal a day, and the polluted water that they drink leaves their children vulnerable to stomach ailments, infectious diseases and even death. So poor are these people that their dead are buried in everyday clothes. Shrouds are a luxury they cannot afford. I often wonder whether the provincial government doesn't have money to provide basic facilities to those that live in Thar. The answer echoes loudly through my mind. Yes, the government has enough money. Ample finances have been given to water schemes. Tall claims are made of completing these projects and bringing water to this parched land. Then, more money is spent advertising these successes. Alas, these projects, that exist only on paper, magically disappear as soon as the advertisement campaign is over. The hand pumps put up at the inauguration of the project are whisked away by government officials. After all, they come in handy when another project inauguration is to be photographed. It is not known where the hundreds of millions reserved for these schemes go. Water has become a mirage for Thar, an illusion that looks real, but ultimately doesn't exist. It is true that these denizens of the Thar Desert were victims of crippling poverty and hunger in the past too. Medical experts say that mortality rates among children have soared dramatically. Their immune systems have been decimated by constant hunger and weakness. But none of this is new. Those that have the power to turn things around are deaf and blind to Thar’s myriad issues. Perhaps their intention is to make things even worse. Members of the assembly that have won from here, and responsible ministers, don't have time for this blighted land. They do have time for their exotic pets. If only the people of Thar were half as important to them as their beloved animals, life would become much better. Elected members are seen once every five years when election season comes around. If this was not the case, Thar would not be in ruins. Once again, death roams free in the wilderness of the desert. The sky is dotted with vultures and other scavengers. There are plenty of carcasses of starved cattle strewed on the landscape. Shortage of food remains the most sinister problem here. These people earn meagre amounts by raising and selling cattle. For a long time, there isn't enough fare for man or beast. Droughts have wiped clean the grazing land and the owners are too poor to buy feed for their cows and goats. 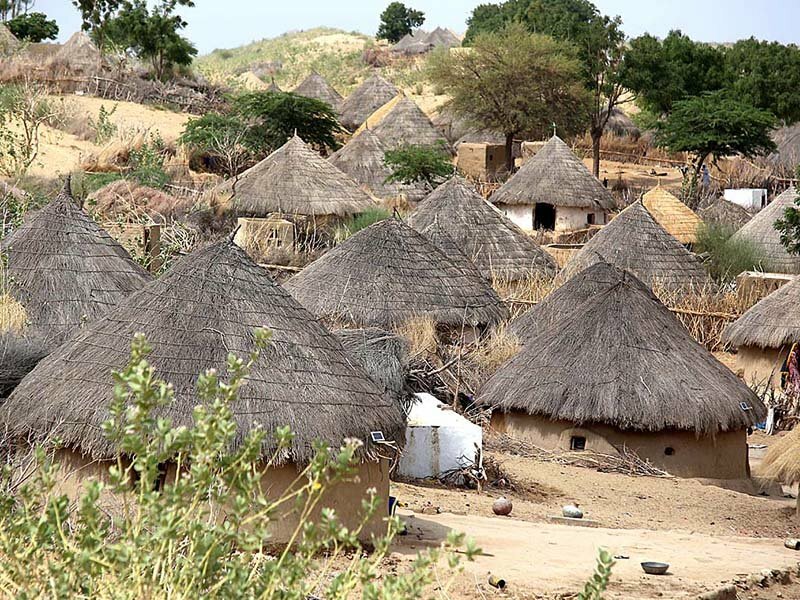 Many villages now lie eerily empty and silent. Hungry and thirsty residents have been driven to migrate elsewhere. Caravans of people and animals can be seen making their way through the dusty sand. More often than not, their destination is near a water barrage. Their clothes are torn, their expressions lost. They tell tales of empty wells and crippling hunger. They look around for help, but none is coming. The Deputy Commissioner of Thar, Asif Jameel, says that drought has been declared in Thar. The government is carrying out surveys to assess aid work. But past experiences have left these people wary of their rulers. Instead, they look up to the sky, beseeching the weather to take a turn. If it rains heavily, their luck might change and for the moment, they can breathe a sigh of relief.